The Dirty Life has been by far the favorite for our food book club rEATers. Kristin Kimball’s story carries you away, making farm life seem equally endearing and exotic. Kimball doesn’t leave out any of the hardship of farm life—the book is an honest portrait of the dedication it takes to work the land—but it is also filled with sweeping scenes of life, neighbors, and love, along with the tastes of fresh Jersey milk, sweet sap straight from the trees, and pungent garlic, earthy pigeon, and bright tomatoes. It’s enough to make you want to start your own farm. Kimball begins the book as a journalist living in New York, meeting her future farmer husband on assignment. A bit lost, she joins in on the farm work, and quickly falls in love, with her husband and the life. The book spans their experience of finding and taming land of their own—from raising a dairy cow and finding a team of horses to planning a farm that can provide a full diet, complete with sugar, grains, meats, and vegetables, for their customers. Their end product, Essex Farm, in northeastern New York, is one of the only farms that provides this kind of holistic approach. Along the way they each struggle through the demands of the farm, of each other, and of their own attitudes in life, Kimball’s city mentality and her husband’s frugality. But together they grow, and create a place they love. 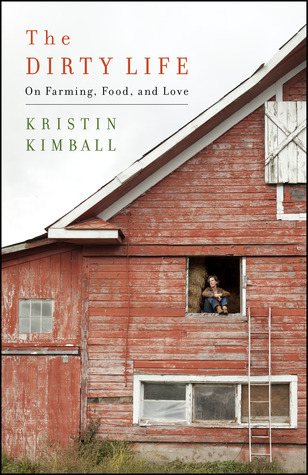 Kimball’s writing is gracious, detailed, and warm—you are included in every moment of the first year of their farm life. Book club gets a whole new meaning with a culinary bent. When my New York City plans finally started to come together last fall, the first thing I began working up with my two best friends, and former LA roommates, Ashley Quinn and Katzie Guy-Hamilton, was a food-focused book club. Food had long been a joining theme in our friendships—Quinn and I had explored many Philadelphia restaurants during college and I went through Spago’s pastry boot camp with Guy-Hamilton—so there really were no two better ladies to begin a literary fest with. Fast-forward five months and as I’m finally starting to settle into my skin here (between trips to Morocco, Boston, Atlanta and Hawaii), we began rEATers, our force de literary culinare. An e-vite announced our intent to a mix-up of chefs, writers, creatives, and a few friends who just happen to love food and also enjoy a good page turner—that rEATers (yes we named our little club) would gather in February for a discussion of Gabrielle Hamilton’s wildly enjoyable Blood, Bones & Butter.